Ships today if you order in the next 11 hours 54 minutes. Vitamin B deficiencies are more common than many realize, especially in children, who typically have gaps in their daily diets. Kid's B Complex from MegaFood uses FoodState Nutrients and vitamins to help fill those gaps and keep your child healthy. Kid's B Complex comes in an easy-to-swallow mini tablet and is easy on your child's digestive system. 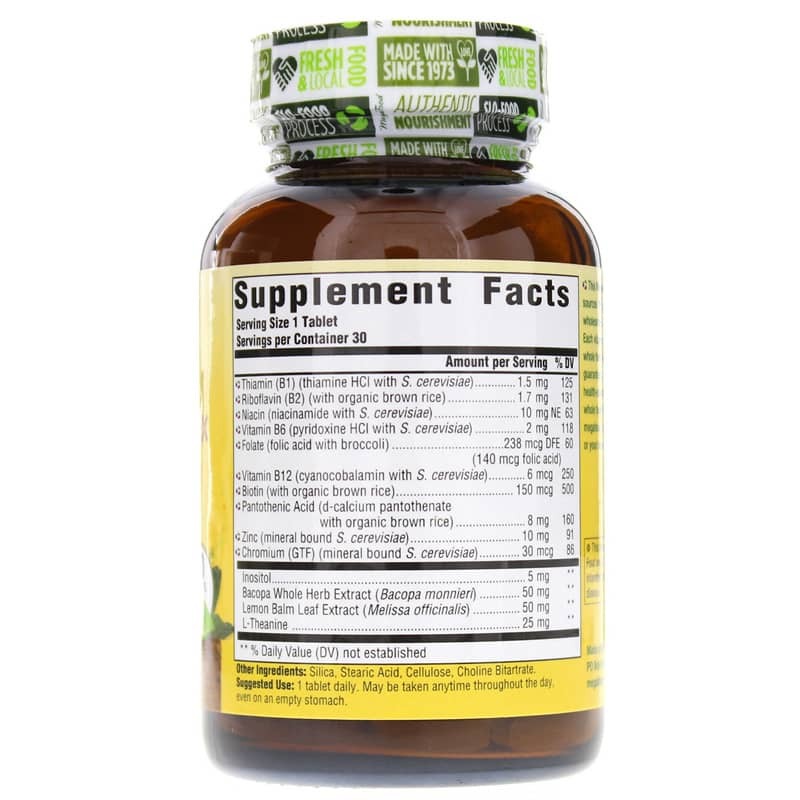 The formula is gluten-free, vegan friendly, and contains no soy or dairy. MegaFood supplements are always made from farm fresh, non-GMO ingredients, and are tested to always be free from herbicides and pesticides. 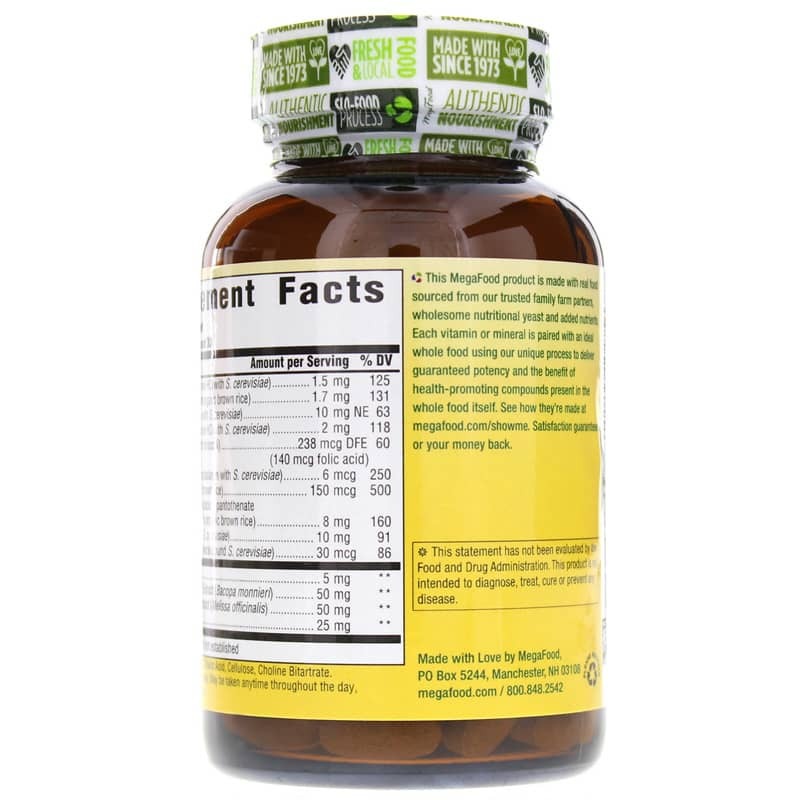 FoodState Nutrients are made from fresh, whole foods that undergo MegaFood's own Slo-Food Process, which turns them into the most complete whole food nutrients your child can receive in a supplement today. 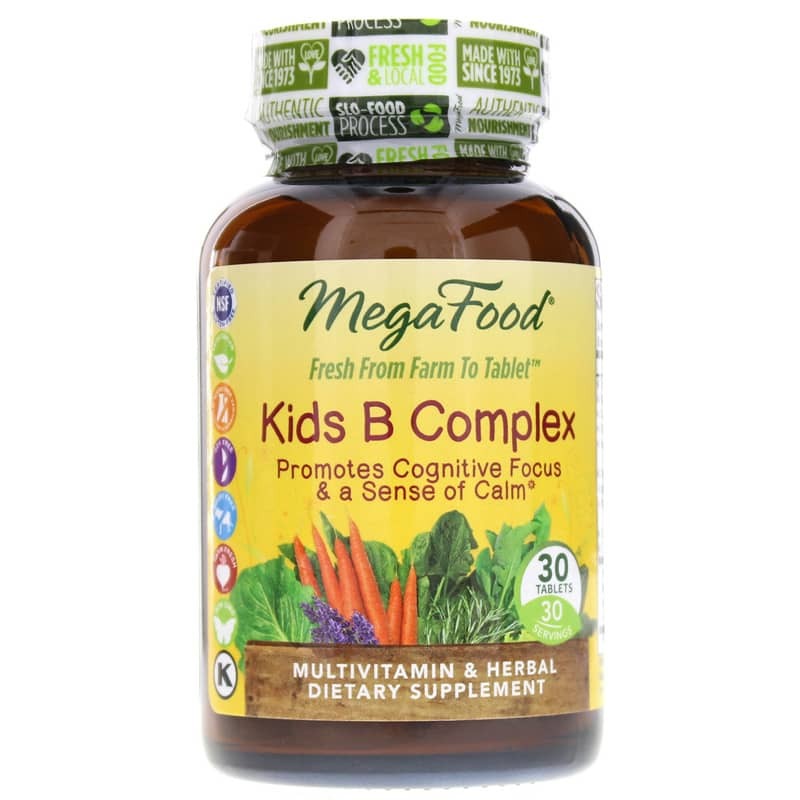 Kid's B Complex from MegaFood is the ideal, natural way to give your child the nutrition he or she needs. It's perfect for kids 5 and older, and every time you make a purchase, MegaFood donates the proceeds to Vitamin Angels! Try it today! Other Ingredients: silica, stearic acid, cellulose, choline bitartrate. Contains NO: gluten, soy, dairy, GMOs. Great B Supplement for Kids! B vitamins are good for mood support and some kids don't absorb them very well. My grand kids take these in the morning before school. It's a whole food supplement so it can even be taken on an empty stomach. It helps them throughout the day!